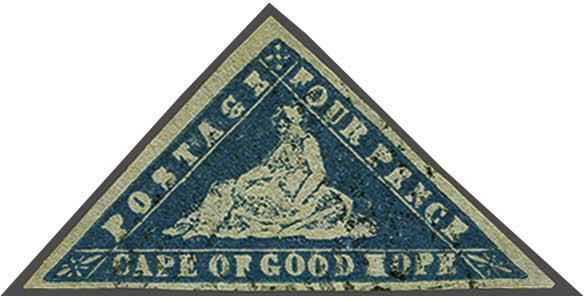 Provisional Issue 1861 (April 12): Woodblock 4 d. deep bright blue on laid paper, a used example with large even margins all round, lightly cancelled in black. Ironed horizontal bend and minor aging does not detract from the excellent appearance of this rare stamp. Certs. 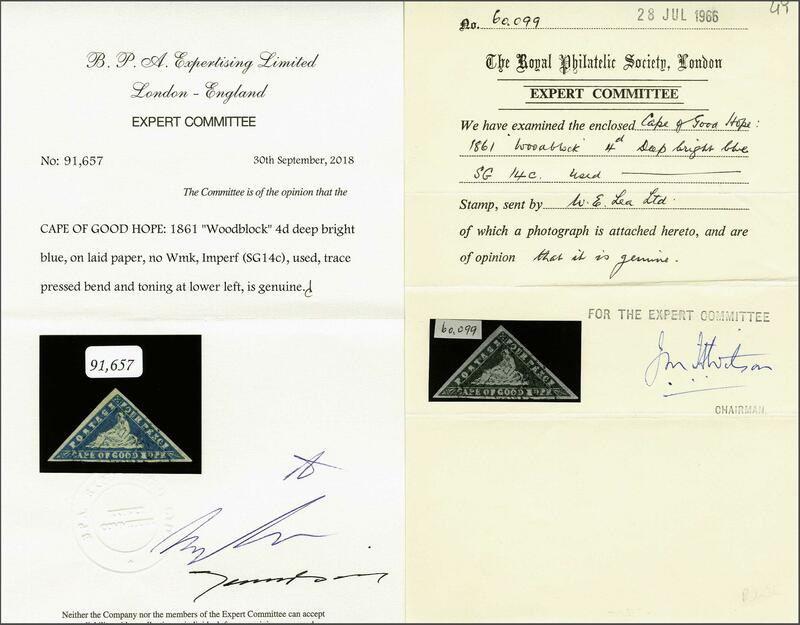 RPSL (1966), BPA (2018) Gi = £ 5'000.